Blendtec blender for perfect smoothies. The Blendtec Designer 725 is a high quality and super powerful high performance blender and one of the best blenders on the market. With great power, an intuitive menu and neat turns, he has convinced every user so far. 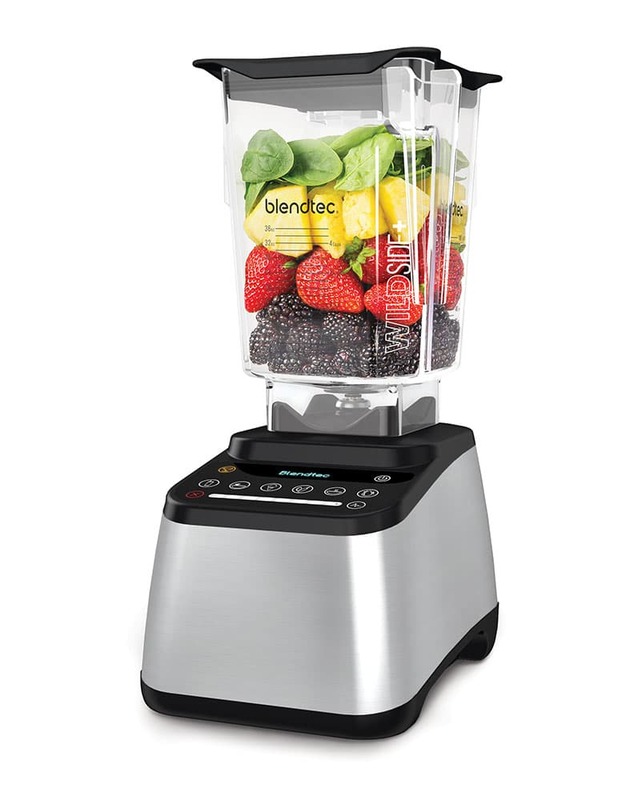 Blendtec Designer 725: More function and power in one smoothie mixer is impossible! 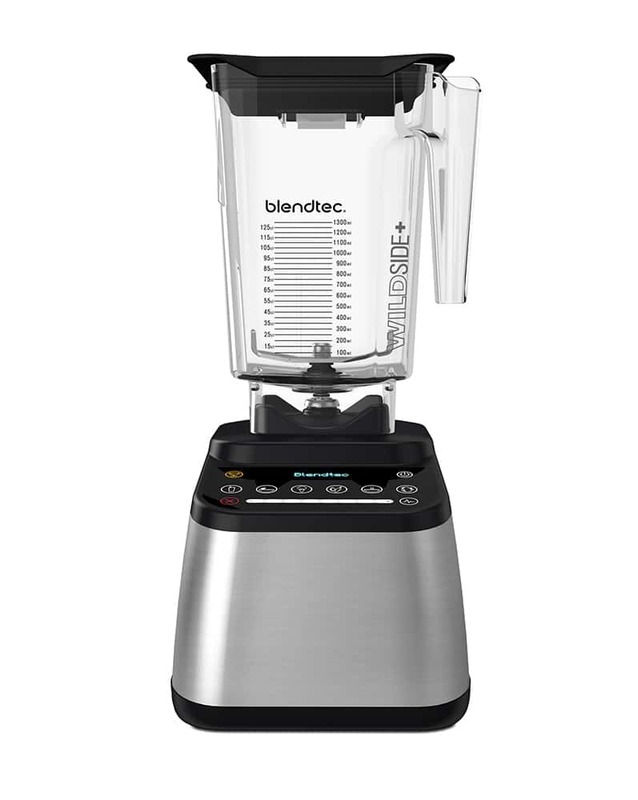 Blendetc is taking us up to the next stage of high-performance blenders, by introducing the new Blendtec Designer 725 – By far one of the blenders that we have ever seen and used. The Blendtec Designer 725 is the revolutionary and assiduously courted model, which happens to be the improved version of all previous designer models: More power, more functions, better stability and a lower noise level. For everyone who is planing to buy this amazing device: Honestly, the Blendtec Designer 725 is the technologically most advanced appliance for creating food on this planet! With it's stainless steel look and it's slim appearance the Blendtec Designer 725 becomes the eye catcher and focus of attention in each kitchen. This sophisticated technology is extremely practical, allows you to easily play around and eliminates long productions times for every meal. The design and versatility of the Blendtec Designer 725 are incomparably and the appearance is flawless. Again Blendetc is demonstrating how to build high-performance blenders nowadays! A real great feature that's coming with the Blendtec Designer 725 is the super advanced short-touch slider! That gives the operator a way better speed control. 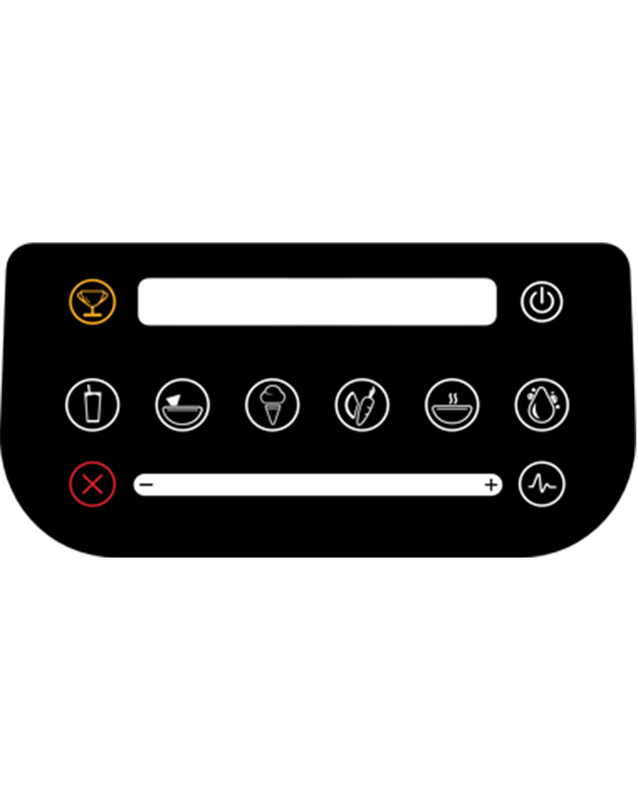 Just with your finger on the touch pad you can slide back and forth, alternate between high to low speed. Move your finger very slowly to control the speed more precisely. The Blendtec Designer 725 also tells it's operator the speed that should be used in order to stir, chop, mix or puree your food and displays it on the digital screen. It is all preset on a highly modern touch screen, so you can just click on the program you need. Some of the automatic programs (most commonly used) are: Smoothie, Whole Juice, Hot Soup and Ice Cream as well as newer programs, such as Salsa. And what's really cool: The automatic self cleaning program via Clean button. The “Add 10” feature is brilliant, because sometimes you just need a few more seconds until the creation is perfect. That way you don't have to wait for the program to be finished and restart, but you can simply click on the running program again (e.g. “Smoothie”) and the blender just adds 10 seconds. The futuristic touch screen of the Blendtec Designer 725 in a miracle of innovation and brings great efficiency and performance. Equipped with a 100-Speed touch slider the touchscreen has neither dials nor switches or buttons. Speeds can be adapted by a simple slide of your finger. 6 automatic programs: Smoothie, Ice Cream, Juice, Hot Soup, Salsa and Clean. With this useful function your Blendtec Designer 725 contacts you and gives you hints if there is not enough fluid in the container. That is very practical and helpful, because the Blendtec Designer 725 realizes by occurring resistance that the engine might overload and knows that fluid might be a solution to shred the mix better and lead it back to the blade. Also the Blendtec Designer 725 may ask you “Is this mixable?”, greet you with a “Hello” or say “Good bye, see you soon” when switching off the device. That is a new approach and connects you with your high-performance blender. Technologically is constantly improving, especially becoming apparent on such advanced high-performance blenders like the Blendtec Designer 725. Creating food becomes real fun, when your blender thinks ahead and gives you hints. Accepting them results in a great team of human and machine. 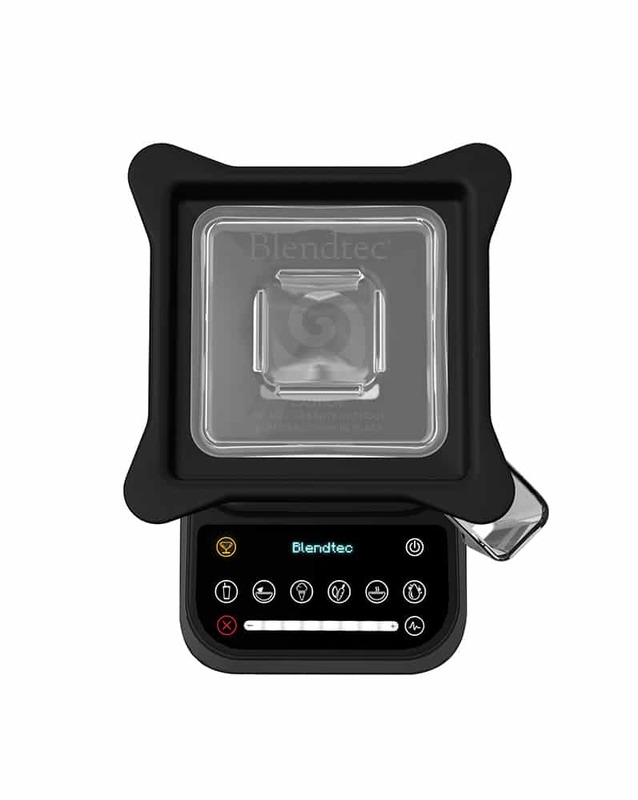 Blendtec is known for their automatic programs and blending cycles. Blendtec was one of the first manufacturers to provide their high-performance blenders with sophisticated and practical automatic programs. That is what saves their users time, because in many cases there is no need to stay at the mixer anymore. With the slider you can approach and maintain any desired rotational speed via touch display. The slider is especially helpful when using the Twister Jar or when creating mixtures/recipes with a desired consistency. For the user this means great handling flexibility and makes a blender the ultimate kitchen appliance. The Pulse button is another smart extension in working with mixing speeds. Pressing the pulse button enables the slider with it's whole speed range. Now the user can touch one area and the Blendtec Designer 725 approaches that speed pulse-like. When taking the finger off the display, the speed decreases again. Related links to "Designer 725"
Customer evaluation for "Designer 725"